Bring 3D Printing into Every Office with The New F123 Series. 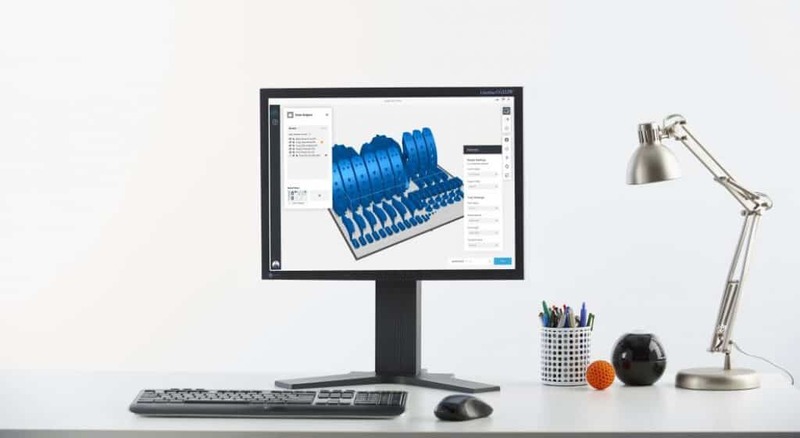 Collaboratively designed by both BMW Designworks and Stratasys, the new F123 series introduces the perfect cost-efficient solution for rapid prototyping, specifically addressing the needs of workgroup design and engineering environments. Capable of bringing 3D printing into every office, lab and classroom, the series will blend in with any environment, offering streamlined prototyping and ultimate ease-of-use. The F123 series combines simplicity with advanced functionality, allowing for high-quality 3D printed prototypes to be produced quickly and efficiently, whilst ensuring ease of operation for even the most inexperienced user. Enabling anyone to quickly master any of the three models within the series. With one of the world’s leading industrial design firms behind the F123’s make-up you can expect features including a sleek touch screen interface, remote monitoring on portable devices, practically noiseless operation, and the integration of GrabCAD Print to eliminate any wasted time on file conversion to STL preparation. “The Stratasys F123’s striking metal cladding is just one of the many defining characteristics demonstrating the performance, durability and refinement of this 3D printing range, whilst introducing a new level of excitement and accessibility to professional 3D printing,” de Salis concluded. Although the series has been designed with simplified operations for any user, the F123 range features functionality with the highest standard results. The F123 delivers engineering-grade quality and repeatability, accepting up to 4 different materials, in 10 different colours to support a vast range of prototyping and tooling applications. The F123’s unique Fast Draft Mode leverages PLA material to produce fast conceptual prototypes at an extremely low cost per part. Production-grade ASA and ABS are ideal for producing strong, stable, repeatable parts, and for even stronger impact-resistant parts there is super-tough PC-ABS. Design workgroups play a pivotal role within product design and development process for consumer products, aerospace, automotive and many other key industries. And according to recent surveys conducted by Stratasys, accessibility, ease of use and material choice are among the very top priorities for the wider adoption of 3D printing for rapid prototyping purposes in workgroups. A single Stratasys F123 Series 3D printer offers a complete prototyping solution by addressing the full iteration and verification cycle. From initial concept to design validation and final functional performance, the F123 series is designed to ensure product designs are thoroughly evaluated and endorsed prior to manufacturing, resulting in better products, shorted lead times and significant cost savings all year round.